Was The Driver Who Hit You Asleep At The Wheel? Fatigued drivers cause serious accidents. We can help. Falling asleep at the wheel has become a common cause of car accidents in recent years, as people are working more hours than ever before. While most people know about the dangers of drunk driving, few know that getting behind the wheel while extremely fatigued is just as dangerous. Drowsy drivers have slow reactions and may cause serious accidents, including deadly head-on collisions. It's easy to sympathize with fatigued drivers, but the truth is that they always have a choice to get behind the wheel or not drive. They put others in danger by choosing to drive, and they need to be held accountable. If you were hurt by an asleep-at-the-wheel driver, you may feel as though you have nowhere to turn. In an instant, your life has changed, and you're dealing with medical bills, time away from work and other expenses. We can help. Contact Gary Martin Hays & Associates today at 1-800-898-HAYS. Motorists owe each other a duty of care every time they get on the road. In order to keep yourself and other motorists safe, you are expected to be awake, alert and able to safely operate your vehicle. That means getting behind the wheel while fatigued constitutes a form of negligence, and if you're injured by a fatigued or asleep-at-the-wheel driver, you should be able to file a personal injury claim against that driver. However, in order to win your case, you need to prove that the other driver was indeed negligent - and that his or her negligence caused your injuries. 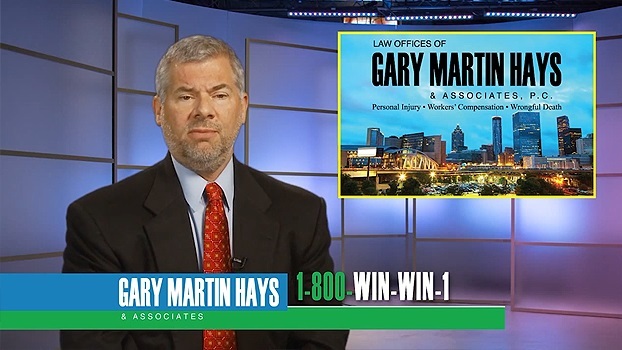 In this video, attorney Gary Martin Hays explains the three elements that must be proved in a car accident case. Injured By Tractor Trailer Fatigue? What does that mean when your accident was caused by an asleep-at-the-wheel driver? To prove that the motorist was asleep at the wheel, we'll look at the accident scene. Often, drivers who fall asleep at the wheel fail to even hit the brakes before impact, which means there will be no skid marks. We'll look at the driver's statements after the accident to see if he or she actually remembered what happened. We'll interview witnesses - both people who saw the wreck itself and others such as co-workers who might remember that the motorist left work while very tired. Our attorneys will comb through all of the records and circumstances surrounding your accident and work to get you all the cash and benefits you deserve. Too often, car accident victims find themselves settling for less. With Gary Martin Hays in your corner, we will fight the insurance company and work for a settlement or verdict that takes into account your lost wages, pain and suffering, disfigurement and any other losses. The driver who hit you may have been asleep at the wheel, but we'll be awake and diligent while we work on your case. Get Gary Martin Hays & Associates on your side, and take your first steps toward moving on after the accident. Call today for a free consultation.